Often, when we think about insurance, we think about how it covers many of the damages that occur during a covered peril such as a fire or flood. But there are more consequences to the damages these incidents cause to your property than just the loss of your tangible goods and shelter, because by making your property useless, insurable incidents force you to find a substitute until your repairs are done. Loss of use is a valuable part of a home or auto insurance policy that can keep you and your family safe and active, even after a total loss. 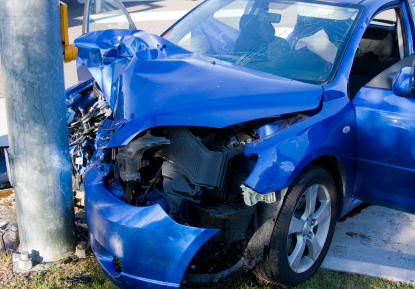 If you are in an accident and your vehicle cannot be driven until repairs are made, the world doesn’t stop spinning. You still need to get to work, bring your kids to school, run errands, and more. When you have loss of use benefits in your auto insurance policy, your insurance company will pay for a car rental to get you around while you wait for repairs to be completed. You will be permitted to rent a car that is in a similar class to your own and the rental can generally last until you are able to pick up your own car again. There are some insurable incidents that do not require you to evacuate from your home or apartment afterward—such as damages that are limited to just one, small area of your home and carry no health hazards through the rest of your dwelling. But sometimes it’s not safe to be home until repairs are done, such as after a fire. When this happens, a loss of use benefit in your renter’s or home insurance policy will pay for a hotel or temporary rental until it’s safe to go back to your house or apartment. Your policy will have limits, restricting the total benefit to a certain percentage of the total limit of your policy. It’s hard to imagine just how stressful it is to lose the ability to live in your home or drive your vehicle—even if the loss is temporary. Add in the extra burden of having to foot the bill for a short-term replacement and your life has become even more difficult than it needs to be—unless you have loss of use coverage is available. If you aren’t sure whether your home, renter’s or Texas auto insurance policy has this generous benefit or you want to add it to your policy, give us a call at (800) 212-2641.